Tramp of the Century: New dates! Tramp of the Century promises to enthrall the diehard fan as well as the simple amateur with their tribute to Supertramp. By the intense rendition of Supertramp's unforgettable music, the fans will rediscover the richness and brilliance of the classic Hodgson and Davies material. Focused on the main era of the two singers/songwriters, the repertoire includes songs from the legendary Crime of the Century in 1974 to Famous Last Words, the last opus of the original formation: Hide in your Shell, School, Dreamer, Fool's Ouverture, Give a Little Bit, Rudy are only a few of the hits that the fans will witness in one of their concerts. Tramp of the Century unites 6 seasoned musicians, Nicolas Beaudoin on drums, Richard Guérard on vocals and guitar, Charles Bellerose on bass and vocals, Sylvain Auclair on keyboards and vocals, Bernard Baribeau on sax and vocals under the direction of Roger Leclerc on piano and vocals. They are dedicated in delivering Supertramp's music in all its authenticity and in sharing their passion for the sound of Supertramp. 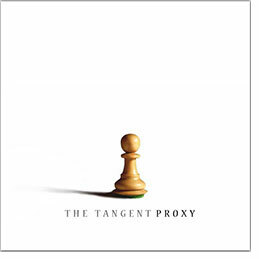 The Tangent - Proxy : The Tangent, the progressive rock group led by Andy Tillison, will release their 10th studio album ‘Proxy’ on the 16th November 2018. Recorded during the band's tour with Karmakanic in 2017/18, which saw them with more chances than normal to work together on the record - hotel writing sessions, van discussions, soundcheck ideas - all of which have allowed the band to make an album that is as organic as they have achieved since their formation 15 years ago. Andy Tillison comments: "Our belief is that Progressive Rock music is still a valid and viable musical form in 2018 and will continue to be so. Our band has always sought to take on board things from the present and add them to that magical mix. We don't claim to be offering the FUTURE. We just claim to be offering one set of possibilities. Ours. Now." ‘Proxy’ is a riot of juxtaposing styles, presented in a really direct manner and despite being firmly rooted in the stylistic traits of the Progressive Rock Genre takes some unexpected turnoffs and a major swerve. The albums kicks off with a trademark Tangent prog fantasia based around growling Hammonds, shrieking Synths, whirling guitars and sharp percussive bass - influences of ELP, Egg, Hatfield & the North, Caravan and Camel proudly worn on their sleeves. This 16-minute title track eventually becomes a protest song about the continuing wars that share their name with the song. But this album features no overall concept. The second track is a sun-drenched Mediterranean fusion instrumental, more Chick Corea than Che Guevara. And the third track is referred to by the band as an attempt to find the missing link between Porcupine Tree and Jamiroquai. By the time we reach the centrepiece epic track ‘The Adulthood Lie’, the rulebook has been left behind and the band are trying to fix the car with whatever is at hand. The Tangent came of age some time ago now. After 15 years with a constant presence on the periphery of the scene, this album is the next step on the road from a band who have painstakingly revered and recreated the past, with one eye on the future. Available at all good independent record stores including Freeson Rock. Do not miss the excellent tribute group to Rush, New World Men on tour this fall! Marc Girard, a world-class sound engineer and accomplished bassist, has realized his dream of creating a tribute to Rush, for no other reason than to have a great time playing great music. New World Men, as you know it, was born from the subsequent jam sessions in early summer 2014 with Frank Larouche and Mathieu Groulx, and the technical and technological limits have been constantly pushed back since then to offer their public an incredible multimedia experience. Show at 8:00 PM. Tickets are $39, available through ticketmaster. Tickets will be refunded through the Club Soda box office. Steven Wilson at La Place des Arts - contest winner! Steven Wilson is back in Montreal by popular demand and will present a show at Salle Wilfrid Pelletier on Friday, November 23, 2018 at 8:00 PM. Congratulations to François Talbot from Laval ! A big thanks to Rubin Fogel Productions for the great prize and thanks to all who have participated ! Steven Wilson released his critically acclaimed new album To the Bone last year, with international music critics lauding the artist for continuing to expand his musical boundaries. Wilson is currently on tour in support of the album. Wilson is described by Planet Rock as "one of the most prolific and unrivalled artists of our time”. Wilson's live performances are often unforgettable, like the time he performed at New York City's The Beacon Theater without being able to use his voice. It was a show that Rolling Stone hailed as "stirring" and highlighted the "pop determination that runs through Wilson's dense layers of shadow and rhythmic restlessness." The video for "Nowhere Now" is a gloriously soaring ode to the joys of everyday escapism. The video for the track was shot on location at and around Atacama Large Millimeter Array (Alma) in Chile – the world famous, high altitude radio telescope array. The video was directed and edited by Wilson's long time visual collaborator Lasse Hoile. Upon release, To the Bone debuted at a career-high Top 3 on the Independent Albums chart, and Top 10 on the Billboard Top Rock and Alternative Albums Charts. It also landed at #3 on the UK charts, which was another career high, and at #1 on the Finnish Albums Chart. Mojo awarded it a four-star review, noting the album "keeps its pop and prog influences in a near perfect balance," while Uncut labeled it "a lush and ambitious piece of progressive pop." Q enthused that To the Bone is "wonderfully executed pop brilliance" and Prog Magazine labeled it "fervent and meticulous." Steven Wilson's last visit was last April at the Olympia Theater for the launch of his album. Tickets on sale right now and cost $78.75, $68.75, $57.25, $47.25 (taxes and service charges included), available at the Place des Arts box office at www.placedesarts.com, 514 842-2112. Haken and Leprous will be in Montreal on Thursday, November 1st 2018 at L'Astral (305 Ste-Catherine West) with special guest Bent Knee. Haken and Leprous, two of the most exciting bands in progressive rock today, are pleased to announce they will join forces for a North American co-headline tour in October / November 2018, with InsideOut label-mates Bent Knee as special guests. These will be the first dates in support of Haken's recently completed, forthcoming fifth studio album due out later this year. Following the release of the bands much-acclaimed fourth studio album 'Affinity', they embarked upon their 10th anniversary tour across Europe & North America. Recorded and filmed on the 13th April 2017, at the legendary Melkweg venue on the Amsterdam stop of that tour, this represents the band's first ever live document with tracks from across the band's discography. Haken comments: "We've been talking about getting out on the road with our good mates Leprous again since our European jaunt with them back in 2014. Both our bands have gone from strength to strength in terms of our live shows since then, and we're excited to see what they have planned, as well as playing brand new music from our forthcoming album. We're also stoked to have Bent Knee along with us. It sure to be an epic night of music, don't miss it!" Einar Solberg from Leprous adds: "So it's finally happening! We actually did a tour together once in the UK back in 2014, and we have wanted to do a more comprehensive tour for a long time, but it just never worked out until now. We've been friends with Haken for quite a while, and to tour with them is long overdue. I think this is a great package for most prog fans, as it unites two pretty different approaches to the genre in one evening. And yet, despite our quite different approaches, I know for sure that we share a lot of fans and this package should make for fantastic shows for everyone!" Show at 8:00 PM, tickets on sale through evenko on Friday, July 13 at noon. 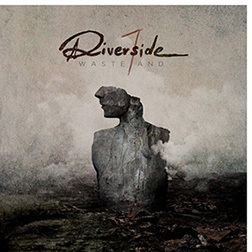 Riverside - Wasteland : Riverside are pleased to announce that their upcoming seventh studio album Wasteland will be released via their longtime label partner InsideOutMusic on September 28th, 2018. Riverside’s Mariusz Duda comments about the album’s overall concept: “I'd been thinking about exploring post-apocalyptic regions for a long time. I read books, watched films, played video games, all connected by stories about an attempt to survive in a world that had just ended. But writing such a story myself didn't make much sense until now. Riverside are starting a new chapter and after our recent experiences, a story like that has gained more meaning. Wasteland is mostly about what's happening in the world these days but it also makes a reference to the tragedy that befell the band in 2016. Musically, we've returned to darker sounds but we have also turned a new page and recorded the album in a different style. It's still Riverside but expressed in a much deeper and more mature way. Most artists say the same thing while promoting their new releases: that they have just created their best work to date. I won't say that because everything we have done so far has been consistently very good and unique. But I will say that we have never had such an incredible emotional load on any of our previous releases, and it's not likely that we will ever make such a charged album again. Wasteland is an epic, multidimensional, poetic and very deep album. Perhaps of the once in a lifetime kind.” The album will once again feature artwork designed by longtime visual partner Travis Smith (Opeth, Devin Townsend, etc.). The new album will be available at all good independent record stores including Freeson Rock. Attention all fans of the styles of Harmonium and the American band Echolyn, Garnotte will hook you solid! The group will present a show at Verre Bouteille (2112 Mont-Royal East, Montreal) on Saturday, November 10, 2018, as part of the 32nd edition of the Coup de Cœur Francophone Event. Like a rock who rolled a long time before amassing all its mosses, Garnotte catapults your way with astonishing accuracy a brand of psychedelico-progressive hard rock (as in solid), but not purist. The band's first EP is produced by David Bujold (Fuudge), the shock of the two inevitably sets that album on fire. This young and highly talented band will blow your mind! Show at 9:00 PM. Tickets are $11.27, available through the Verre Bouteille boxoffice. One of Quebec's legendary prog bands, Morse Code, will present a show on Saturday, November 3, 2018 at CEGEP de Jonquière's Salle François-Brassard (2505 St-Hubert Street, Jonquière). The 70's group was the first progressive rock band in Quebec and even in Canada. With seven albums produced between 1972 and 1995, including three in English and four in French, Morse Code has created a place in the hearts of progressive music lovers in Quebec and across Canada. Since the untimely death of Christian Simard, composer, keyboardist and lead singer of the group, three original members reunited; Michel Vallée on bass and vocals, Daniel Lemay on guitars and vocals, and Gilles Simard on drums, as they have felt the need to revive Christian's music which has marked his era both for his texts that are still relevant and his timeless melodies. To complete the formation, two new members, Jean Ravel on lead vocals, and Gilles Greg Beaudoin on keyboards and vocals, have joined the group to complete the 2018 edition. The brand new show is a retrospective of the French repertoire, a precious musical legacy to all its fans over the years. All selections taken from the albums La Marche des hommes, Procréation, Je suis le temps and D’un autre monde. You will rediscover classics such as: La Cérémonie de minuit, Qu’est-ce que t’as compris ? Cocktail, Le Pays d'Or, De tous les pays du monde, Je suis le temps, etc. Legendary drummer Carl Palmer will be at Club Soda (1225 St-Laurent, Montreal) tonight, Sunday, October 14, 2018. The Carl Palmer ELP Legacy trio will present their new show, Emerson Lake and Palmer lives. Carl Palmer's show is a rereading of Emerson Lake and Palmer's best moments "The pieces have been updated and reinterpreted," says the founding member of ELP and Asia. Among others, the trio will play classics like Pictures at an exhibition and Tarkus. The other members of the power trio are Simon Fitzpatrick on bass and guitar virtuoso Paul Bielatowicz. Recognized for his energetic style, the british drummer earned the Virtuoso Award at a ceremony organized by Prog Magazine and Rolling Stone Magazine included him in its top ten list of the best rock drummers. Show at 8:00 PM. Tickets are $49, available at the Club Soda boxoffice. The excellent progressive British band Strawbs will be at Club Soda (1225 boul. St-Laurent, Montreal) this Thursday, October 11, 2018. This legendary band started their career in the 60's as the Strawberry Hill Boys. Their album Hero and Heroine was recently chosen by Rolling Stone magazine as one of the best progressive rock albums of all times. Strawbs has gone through the years with their mix of rock, folk and progressive that has charmed audiences in Europe and North America. After several years of touring, the group launched The Ferryman's Curse in 2017, a first album of original material in eight years. Dave Cousins and his band are back on the road for the last time, with an acoustic and electric concert, before gracefully bowing out. A unique chance to see one of the best British progressive bands of the early 70's! Tickets for this show are on sale at Club Soda or through lepointdevente.com. Do not miss the Progtobre Evening on Saturday, October 6, 2018 at the Petit Campus (57 Prince Arthur East, Montreal) featuring the groups Garnotte, Vecteur K and Ostrich Bouquet! The Progtobre Evening presented by Progtopus is an annual progressive music event, organized by Julien Vachon, founder & frontman of progressive Montreal rock band Progtopus. Show at 8:00 pm, general admission 18+, tickets are $22.25, available through lepointdevente.com, or $25 at the door. The English progressive rock band IQ will be back in Montreal at the Club Soda (1225 St-Laurent) this Thursday, October 4, 2018. The English group will present many classics that have marked their long career. With Marillion, IQ is one of the mainstays of neo-prog, a movement that began in the early 80s. Their first album, Tales from the Lush Attic, was released in 1983. Compared to Gensis in their early days, it was in 1993 with the Ever album as IQ matures with a refined and personalized sound. Subsequently, the sound quality of IQ's albums has always been remarkable and constantly improving. Road of Bones, their tenth studio album, is considered by many music critics as the best prog rock album of 2014. IQ is composed of Peter Nicholls (vocals), Mike Holmes (guitar), Paul Cook (drums), Tim Essau (bass) and Neil Durant (keyboards). With an album to be released at the end of 2018, Montreal fans will be able to have a live preview of the new upcoming material. Show at 8:00 PM, doors at 7:30 PM. Tickets are $49, available through LePointdeVente.com. Do not miss the excellent double bill of Time for Pink Floyd and Hamadryad on Saturday, October 6, 2018 at la Petite Église (275 Saint-Eustache Street, Saint-Eustache). The tribute group Time for Pink Floyd stands out above all for its vocal and musical fidelity, and offers you a show worthy of the famous British band. The repertoire of the group covers a large portion of Pink Floyd's discography. With seven musicians on stage, Time for Pink Floyd will perform favorites of this rock legend. Hamadryad is difficult to classify, as musical experimentation is still the basic principle of this band. With 5 albums to their credit "tinged with various flavors" and influenced by the many hard rock pioneers of the 70s, their music is still very modern, powerful and definitely always ROCK. Show at 8pm. Tickets are $24.50, available through Ticketpro and at the box office of the la Petite Église (450) 974-2787. A rare concert in Montreal for one of the mythical groups of the Rock in Opposition movement, Miriodor will be at Petit Campus (57 Prince Arthur East, Montreal) on Thursday, September 27, 2018 as part of the PopMontreal festival. The band, composed of Bernard Falaise on guitar, Pascal Globensky on keyboards, Rémi Leclerc on drums and Nicolas Lessard on bass, will play material from their most recent album Signal 9 as well as some selected gems from their vast discography! Show at 8:30 pm. Tickets are $15 through LePointDeVente.com or $20 at the door on the day of the show. Karcius will be playing in Montreal on Friday September 21, 2018 at Petit Campus (57 Prince Arthur East, Montreal) for the launch of their latest album, The Fold. “At the heart of every living being resides a power that lurks in the deepest corners of our minds. It can alter thoughts, render unconscious and feed on memories” - album prologue. The Fold is atmospheric, catchy, heavy and adventurous. With its cinematic storytelling approach, the album gives a new scope and a fresh twist to the Prog Rock genre. This sonically rich production, the attention to detail and its unique concept marks a milestone for Karcius. The Fold will be released on CD, LP and HI-RES audio in August 2018. Also, expect a remixed 5.1 surround special edition for an amazing sonic experience this coming fall. Karcius will also be at the Club Soda on November 22, opening for Gong. Progressive rock fans who love Porcupine Tree or Pink Floyd, it's for you! Show at 8:00 PM. Tickets available through LePointdeVente.com or $10 at the door. Swedish prog-metal band Soen will be in Montreal on Wednesday, September 5, 2018, at Foufounes Électriques (87 Ste-Catherine East, Montreal). Soen is composed of former Opeth drummer Martin Lopez, former bassist of Death, Testament and Sadus Steve Di Giorgio, Willowtree singer Joel Ekelöf and guitarist Kim Platbarzdis. Drummer Martin Lopez described Soen's music as "melodic, heavy, complex and very distinctive". Featuring the very beautiful song Lucidity, the last album of the band, Lykaia, has been received very well by music critics. Show at 8:00 PM. Tickets are $35, available through LePointdeVente.com. Legendary drummer Terry Bozzio will be at Club Soda on Tuesday, September 11, 2018 as part of his 2018 Reality Tour. Terry Bozzio is known for his work with Frank Zappa, Jeff Beck, Korn, UK, Missing Persons, Mick Jagger, Robbie Robertson, Alan Holdsworth, Tony Levin, Steve Vai, Quincy Jones, Ken Scott, Metropole Orkest - as well as film music composers Basil Poledouris, Mark Isham and Patrick O'Hearn. He is the recipient of a Grammy Award, RockWalk Honoree, Modern Drummer Magazine's Hall of Fame Award, and is one of Rolling Stone's Top 5 Drummers of All Time! Terry Bozzio is able to be accompanied by complex bass patterns while performing melodic solos with his highly developed coordination skills. Bozzio draws on jazz, classical and ethnic rhythms. During these intimate shows, the American drummer is also a storyteller, connecting with the public through his amazing tales. It's not just a solo but elaborate music on drums. It is a unique, intense, dynamic, spiritual, melodic, orchestral, atmospheric and musical performance on the world's largest set of drums and percussion. Show at 8:00 PM. Tickets are $39, available through the Club Soda box office and through LePointdeVente.com. Legendary japanese black/trash metal band Abigail will be at Bar Piranha on Thursday, September 20, 2018, accompanied by Warsenal plus special guests. Tickets are $20, available through 13Media. Simple Minds will be back in Montreal at the MTelus Metropolis on Friday, September 28, 2018 as part of their Walk Between Worlds - Celebrating 40 years tour. Simple Minds are delighted to announce that they will tour North America in September and October 2018, playing two full sets featuring iconic songs spanning their whole career and including tracks from the new album Walk Between Worlds! Doors at 6:30 PM, show at 8:00 PM. Tickets on Sale April 27, 2018 at 10:00 AM through evenko. The band Scripted - a tribute to Fish-era Marillion will be at Club Dix30 in Brossard on Thursday, September 13, 2018. All the best freaks are here! Music, theater, emotion - Scripted explores with you the Fish years of the best neo-prog band, Marillion. Come share this unique experience with the only homage of its kind in North America! Show at 8:00 PM. Tickets are $14.75, available through the Dix30 box office. Andorran Prog/Death Metal band Persefone and Montreal's own Heaven's Cry will be at Petit Campus (57 Prince Arthur Street East, Montréal) on Sunday, September 2, 2018, accompanied by Danish band Manticora. Persefone will be headlining their first ever tour in North America this August/September, in conjunction with their show at the ProgPower festival in Atlanta. Vocalist and keyboardist Moe Espinosa, comments: "It’s been a long time since we announced that we were preparing a North American Tour. Today, the day has finally come where we can announce the tour itself! In August we will finally cross the Atlantic to meet our fans and friends personally there and we simply cannot wait! Mexico, United States and Canada! A dream come true! See you all there!" The 10-show tour will take Persefone to some of the largest cities on the North American continent, such as Mexico City, Los Angeles, New York, Chicago and Atlanta. Persefone is bringing along the thrash/power veterans Manticora from Denmark, as support act on the tour. Manticora are releasing their 8th album in August – a concept album, following the release of the novel “To Kill To Live To Kill”, written by the band themselves, so the timing is perfect. Manticora has previously been touring the US as support for Jon Oliva’s Pain. Also as special guests for the Montreal date, Heaven's Cry, featuring Sylvain Auclair (Karcius) and Eric Jarrin (Despised Icon). Show at 8:00 PM, tickets are $27.50, available through LePointdeVente.com. Don't miss an evening of classic british heavy metal with Deep Purple & Judas Priest together at the Bell Centre on Wednesday, August 29, 2018. Doors at 6:00 PM, show at 7:00 PM. Tickets on Sale April 27, 2018 at 10:00 AM through evenko. Lunatic Soul - The Fragmented Sky : Lunatic Soul is Mariusz Duda, the talented creator, singer and multi-instrumentalist behind some of the finest and most captivating progressive music coming from Europe, including his output on UK label Kscope and with Poland's shooting stars Riverside. Duda is now releasing his sixth studio album, Under The Fragmented Sky on 25th May 2018. This new album is the companion to 2017's Fractured and the pinnacle of the first decade of Lunatic Soul. Following on from last year's material, which covered content about grieving, hope and a fractured society, Under the Fragmented Sky rebuilds Lunatic Soul as we know it, with dark and haunting atmospheres coming to the forefront, taking its name from the lyrics of the 12-minute epic "A Thousand Shards of Heaven" from Fractured. Duda explains "Fractured is not a full picture of the latest Lunatic Soul recordings. These more classical pieces have been waiting for their own time which has now come. Under the Fragmented Sky will be both a supplement to Fractured and an artistically independent release with its own character and identity. "It's a very unexpected and spontaneous release” - says Mariusz Duda -"Initially, I was thinking about a maxi single "A Thousand Shards of Heaven" with a couple of other tracks but the material had evolved so beautifully in the studio that I ended up with 36 minutes of brand new music. It's a truly enchanting album. Under the Fragmented Sky is a music journey with very subtle electronics and vocal experiments, it's incredibly coherent and much closer to the mood of the earlier Lunatic Soul albums. Thanks to "Under the Fragmented Sky", the last red album will gain a fuller meaning and the whole Lunatic Soul discography will be enriched with another shade of my music fascinations, which have been suspended somewhere between life and death from the very beginning." The album was recorded during the Fractured sessions at Serakos Studio, Warsaw from June 16-17, and finalised December 2017 and February 2018. The final track "Untamed" sees a guest appearance on drums for Wawrzyniec Dramowicz (aka Vaaver). The album was designed and illustrated by Polish artist Jarek Kubicki. The new album is available at all good independent record stores including Freeson Rock. The Mick Pointer band will be in Quebec City on Saturday, August 18, 2018 to present its show Script Revisited. The event will take place in the auditorium of Cegep Garneau (1660, boulevard de l'Entente, Quebec City). The show created by Mick Pointer, former Marillion drummer, is inspired by Marillion's first world tour. For this event , he surrounded himself with an all-star team, featuring Nick Barrett (Pendragon) on guitar, Mike Varty (Landmarq) on keyboards, Ian Salmon on bass (ex-Arena) and the excellent singer Brian Cummings (Carpet Crawlers). Mick Pointer had the idea to present Script Revisited in 2013 on the occasion of the 30th anniversary of the tour. Subsequently, the group played in several European countries. Fans of Marillion's Fish era will have their highest expectations met with the Script revisited show. It will be the first time that the Mick Pointer Band plays in Canada. Show at 8:00 PM. Tickets are $49, available through LePointdeVente.com. Lost Nebula will be in Montreal on Sunday, July 29, 2018 at Piranha Bar (680 Sainte-Catherine St West, Montreal). Mexican power metal band Lost Nebula have announced that they will be making their way to Canada for the first time this year. The tour will take place over two and a half weeks in July and hit many of the major Canadian cities, including five dates in British Columbia. The band formed about five years ago out of the ashes of a project that bassist Harry Gonzales had begun working on several years earlier. Lost Nebula is both melodic and powerful, but there is also a sense of mystery to the group. Over the years, the band has played several festivals and done many tours, both local and international. Thus far, they have released two albums and three music videos. Their sound is nice and listenable, but it can also satisfy those craving the heavy echelon of metal. Black Label Society back in Montreal! American heavy metal band Black Label Society will be at the MTelus Metropolis (59 Ste-Catherine St. East) on Wednesday, August 8, 2018, accompanied by Corrosion of Conformity and EyeHateGod. Zakk Wilde's band is touring to support the release of the latest compilation Grimmest Hits. Tickets are $48 in advance, $52 on the day of the show, available through evenko and at the MTelus Metropolis boxoffice. One of the giants of progressive rock, Ian Anderson presents: Jethro Tull, 50th Anniversary Tour, at the Salle Wilfrid-Pelletier of the Place des Arts, on Saturday, July 7, 2018 at 7:30 pm. Rock might not be what it is today without a pioneer of that caliber: Ian Anderson, the voice and flute of Jethro Tull. With thirty albums and thousands of concerts over nearly 5 decades, the illustrious group is taking advantage of its 50th anniversary to offer the Montreal Jazz Fest its very first visit. A concert that promises to be legendary. Tickets are $88.45 to $123.45, available online and at the Place des Arts box office. Radiohead are playing Montreal’s Bell Centre on Monday, July 16 and Tuesday, July 17, 2018 as part of their 2018 North American tour. The British group are touring in support of their latest record, 2016’s A Moon Shaped Pool. The tour also includes two stops at Toronto’s Air Canada Centre. Radiohead were last in Montreal for their headlining spot at the 2016 Osheaga Music and Arts Festival. Tickets for the Montreal shows go on sale Feb. 24 are $90.50 to $112.50, available through evenko and at the Bell Centre boxoffice. Canterbury legends Soft Machine will be at the Monument National (1182, boul. St-Laurent) as part of the Montreal Jazz Fest, on Saturday, July 7, 2018. Pioneers of the ’60s psychedelia movement, Soft Machine is an iconic group in the timeline of British jazz fusion. The band’s hybrid jazz sound and multiple line-ups have withstood the test of time. Featuring three of the group's 70s era members: guitarist John Etheridge, drummer John Marshall and bass player Roy Babbington. They're joined by sax, flute and keyboard legend Theo Travis. Wear flares and put flowers in your hair for a show that recreates the vibe of Woodstock. Show at 8:00 PM. Tickets are $49.75, available online and at the Monument National boxoffice. Toronto Prog rock band The Slyde will be in Montreal on Thursday, June 7, 2018 at the Katacombes club (1635 St-Laurent, Montréal) to promote the release of their new album Awakening. Following up with 2017's EP release Back Again, Canadian melodic proggers The Slyde return with their first full length effort titled "Awakening". The band (formerly known as just Slyde) will drop ten tracks of the intricate, contrapuntal prog rock they've honed over the last decade, on May 18, 2018. In true prog fashion, The Slyde stays true to their mission statement with their quirky arrangements, aggressive edge, and ominous lyrics. The result is a thought provoking, high-octane album for fans of Rush, Dream Theater, Haken, Coheed and Cambria, and Megadeth. Driven by Nathan Da Silva’s elegant vocals, Sarah Westbrook's powering keyboard skills, and the powerful rhythm section of Alberto Campuzano and Brendan Soares, the band are to catch the ears of any technically minded melodic prog rock fan. The Wall Live Extravaganza at Place des Arts: Contest winner! Congratulations to Serge Marcoux of Mirabel ! The Wall Live Extravaganza returns to Montreal with a brand new show! After more than 75 performances in Canada and the U.S., this production is has received a massive makeover… Bigger and better, this breathtaking show will unveil new sets, costumes and visual effects with an oversized deployment. Plunging you into the wide universe of Pink Floyd's masterpiece, with an amalgam of songs from The Wall and Final Cut albums, Alan Parker's film and the original show, The Wall Live Extravaganza promises to impress. Produced by Rubin Fogel Productions and Viking Productions. Tickets: $64.50, $54.50, $39.50, $29.50 Taxes included / Service charges extra available online and at the Place des Arts box office (514) 842-2112. American proggers 3RDegree will be in Cornwall, ON to present their Ones and Zeros show at The Port Theatre (132 Montreal Road, Cornwall, Ontario) on Friday, May 18, 2018, accompanied by Toronto prog band Half Past Four. Formed in 1990, 3RDegree released 2 studio albums before their breakup in 1997. After a 10-year hiatus, their "comeback" album NARROW-CASTER was released in 2008. THE LONG DIVISION followed in September 2012 gaining them many fans. Summer of 2015 saw ONES & ZEROS: vol. 1–their first concept album. A European tour in September would follow. 2018 brought the prequel ONES & ZEROS: Vol. 0. Check out their music on Bandcamp! Doors: 7:00 PM - Showtime: 8:00 PM. Tickets are $15 in advance, $20 on day of show. The Security Project back in Montreal! The Security Project: The music of Peter Gabriel will be in Montreal on Sunday, June 3, 2018 at the Petit Campus (57 Prince-Arthur, Montreal). The Security Project has once again reinvented itself, this time with vocalist KT (Happy) Rhodes. Together with Jerry Marotta (drummer from Peter Gabriel’s first five records), Trey Gunn (King Crimson), Michael Cozzi (Shriekback) and NY keyboardist David Jameson, the group continues reimagining the early work of Peter Gabriel, but with Happy’s impressive four-octave vocals adding an entirely new dimension. Tickets are $25 in advance, $30 at the door, available at the Café Campus boxoffice. 18+, general admission. The Terra Incognita Progressive Rock Festival will be back for its 14th edition at the Centre d'art La Chapelle (620 Avenue Plante, Quebec City) on Friday, May 18, Saturday, May 19 and Sunday, May 20, 2018, and will feature Wobbler and Moon Safari! Tickets are on sale right now through billetech, as well as at the Centre d'art La Chapelle box office at 418-641-6032, and cost $44 for the Friday evening with Time for Pink Floyd, $94 for Saturday and $94 for Sunday. UK prog metal band TesseracT will be at the Club Soda in Montreal on Wednesday, May 23, 2018, with guests yet to be announced. The band will present brand new music from their upcoming album Sonder. Doors: 6:00 pm, show: 7:00 pm. General admission tickets are $31.75 to $36.75, available online and at the Club Soda box office. Slayer will be at Place Bell in Laval on Wednesday, May 30, 2018 as part of their farewell tour! Anthrax, Behemoth, Lamb of God and Testament will also be part of this metallic evening. Doors: 4:00 PM / Show: 5:00 PM. Tickets are $61.25 to $92.50, available through evenko or at the Place Bell boxoffice. Progressive rock band Arena will visit the Cegep Garneau Auditorium in Quebec City on Saturday, May 26, 2018. Founded in 1995 by keyboardist Clive Nolan (Pendragon), Arena was among the leaders in the neo prog comeback in the 90s. The band is comprised of drummer Mick Pointer (ex-Marillion), guitarist John Mitchell (Frost), singer Paul Manzi and Kylan Amos on bass. Arena's first studio album, Songs from The Lion's Cage, was well received by critics. There were some similarities with Marillion's music at the time. However, later, and especially with the arrival of singer Paul Manzi in 2007, the group has forged its own identity. Arena has eight studio albums. As part of its 2018 tour, the group will celebrate the 20th anniversary of The Visitor album and they will also take the opportunity to present their new album, Double Vision. Arena's last performance in Quebec City was in November 2012 at L'Impérial. Tickets are $55, available through LePointdeVente.com. Legendary guitarist Joe Satriani be at the MTelus Metropolis (59 Ste-Catherine East, Montréal) on Friday, May 25, 2018, to present the music of his new album What Happens Next. Doors at 6:30 PM, show begins at 8:00 PM. Tickets are $53 to $68, available through evenko or at the MTelus Metropolis boxoffice. Marbin, one of the coolest contemporary jazz fusion bands is coming back to Montreal at le Petit Campus (57 Prince Arthur East, Montreal) on Saturday, May 5, 2018. Show begins at 8:30 PM and tickets are $17, available through LePointdeVente.com. Progressive Metal band Threshold will be in Montreal on Wednesday, May 2, 2018, at Foufounes Électriques (87, Ste-Catherine East). It will be the first visit of the British group in Quebec. They will take the opportunity to present their new album Legends of the Shires which received a very enthusiastic welcome from the music press. Threshold's music is characterized by the classic attributes of Heavy-Metal with exuberant guitars, fast drums and catchy refrains but also structural aspects specific to the complexity of classic prog rock from which they were heavily influenced. The group was formed by guitarist Karl Groom in Surrey, England in the late 80s. Their arrival on the Nuclear Blast label propelled them to the forefront of the Progressive Metal scene. The other members of Threshold are: Richard West (keyboards), Glynn Morgan (vocals-guitar), Johanne James (drums), Steve Anderson (Bass). Threshold's 2018 tour will also bring them to the Heavy Metal 70,000 Tons of Metal Cruise in February and the prog rock RoSFest Festival on May 5th. Show at 8:00 PM, doors at 7:30 PM. Tickets for the Threshold show in Montreal are $35, available through lepointdevente.com. American prog band District 97 will be at the Petit Campus (57 Prince Arthur East, Montreal) on Sunday, May 6, 2018, with opening act by the celebrated Montreal band GG Project - Gentle Giant Tribute. The band is touring to its 10th anniversary, check out their cool tour trailer on Youtube. Tickets are $29.50, available through LePointDeVente.com. The prog supergroup The Sons of Apollo will be at the Corona Theatre (2490 Notre-Dame Ouest, Montreal) on Thursday, April 19, 2018 at 8 PM. The contest has now ended and we have a winner! Congratulations to David Levasseur of Dorval who wins the pair of tickets to the Corona Theatre show! Thanks to evenko for the great prize, and a big thanks to all who have participated! In early 2017, rumors began circulating about a new secret project including former Dream Theater members Mike Portnoy and Derek Sherinian. Finally, on August 1st, the duo revealed the details to the rest of the world, introducing their new band, SONS OF APOLLO. Reuniting to form SONS OF APOLLO, Portnoy and Sherinian join forces with guitarist Ron "Bumblefoot" Thal (ex-Guns N’ Roses), bassist Billy Sheehan (Niacin, The Winery Dogs, Mr. Big, David Lee Roth) and vocalist Jeff Scott Soto (ex-Journey, ex-Yngwie Malmsteen's Rising Force). Their debut album, Psychotic Symphony, was released on October 20 via InsideOutMusic/Sony Music. Psychotic Symphony was produced by the dynamic production duo of Portnoy and Sherinian, also affectionately known as “The Del Fuvio Brothers,” the nickname given to them over 20 years ago during their time together in Dream Theater. Dweezil Zappa in Montreal: Contest winner! Dweezil Zappa, son of the late great Frank Zappa, will be back in Montreal to present an evening of the music of his father with Choice Cuts World Tour 2018, at the Corona Theatre (2490 Notre-Dame Street West, Montreal) on Sunday, April 15, 2018. Congratulations to Donald Chapados of Montreal who wins the pair of tickets to the Corona Theatre show! Thanks to evenko for the great prize, and a big thanks to all who have participated! Doors at 7:00 PM, show at 8:00 PM, tickets are $50.50 to $82.50, available through evenko or at the Corona Theatre boxoffice. Steven Wilson will be back in Montreal on Saturday, April 21, 2018 at the Olympia (1004 Ste-Catherine East, Montreal). The contest for the pair of tickets to the Olympia show has now wnded and we have a winner! Congratulations to Bertrand Brochu of Laval! Thanks to all who have participated and a big thanks to Rubin Fogel Productions for the great prize! Tickets are $50 to $69.50, available through the Olympia boxoffice. With a constant attention to detail and in the greatest respect for the work of Peter Gabriel, Marc Léveillé and five seasoned musicians on stage will share their passion for the music of the former member of Genesis, offering a selection of classics that will appeal equally to the biggest Gabriel fans as well as to the 80s music lovers. Check out their awesome promo video! A festive evening high in rhythms and emotions, combining world music, rock and pop: this is what So - Projet Gabriel invites you to! The Rush tribute band New World Men will be at the Club Dix30 in Brossard on Friday, April 6, 2018. Show at 8:00 PM. Tickets are $39.75, available through Admission and at the Club Dix30 boxoffice. The objective of New World Men is to recreate the studio sound of Rush live in front of you! Every effort is made to accurately achieve the sonic perfection of the tunes you've heard a thousands of times on your record player! A faithful reproduction combined with the raw talent of the trio. Rush fans will be delighted! With François Larouche on guitars, Mathieu Groulx on drums and vocals, and Marc Girard on bass. American power metal band Kamelot will be at the MTelus Metropolis (59 Ste-Catherine St. East) on Sunday, April 22, 2018, accompanied by Delain & Battle Beast. The band is touring to support the release of their new album Shadow Theory, watch their new video Ravenlight on Youtube. Tickets are $48 to $139, available through Ticketmaster and at the MTelus Metropolis boxoffice. Blue Skies Turn Black presents american avant-garde/multimedia legends The Residents at the Fairmount Theatre (5240, Avenue du Parc, Montreal) on Friday, April 20 2018. Doors at 8:00 PM, show at 9:00 PM. General admission tickets are $27 in advance, $30 at the door. 18+. The MSGF quintet will be at Studio Rouen (3935 De Rouen, corner Charlemagne, Montreal) on Friday, April 13, 2018 at 20h (admission $ 20). MSGF is a quintet featuring Michel Sergi, François Fournier, Réjean Arsenault, Steve Gagné and Pierre Malenfant, that offers a musical evening with a repertoire of the '60s,' 70s and '80s , performed cheerfully and dynamically. The show, presented in two parts, will appeal to music lovers of all genres and all ages. MSGF is also the funny acronym for "Musiciens Sans Groupe Fixe", given the multitude of projects that group members have participated in over the years. Protest The Hero will be in Montreal at La Tulipe (4530 avenue Papineau, Montreal) on Thursday, April 19, 2018 at 7:30 PM. The canadian prog-metal band will be touring for the 10th anniversary of the release of their critically acclaimed album Fortress. Tickets are $29.75, available through Admission and at La Tulipe boxoffice. JLC Musik presents progressive rock icon Neal Morse in concert in Montréal. The singer, author, composer and multi-instrumentalist will present an acoustic show on Thursday, April 19, 2018, at Café Campus (57 Prince-Arthur East, Montreal). This will be a solo performance in which Neal Morse will present music from his new album Life & Times to be released on February 16th. Widely considered as one of the greatest progressive rock musicians in the world, this show will be a rare opportunity to see Neal Morse in a more intimate acoustic setting. Doors at 7:30 pm, show at 8 pm, tickets are $38, available through LepointdeVente.com. Neal will also be at Salle Jean-Paul Tardif in Quebec City on Wednesday, April 18, 2018. Huis back at Petit Campus! Montreal prog band Huis will be in Montreal on Sunday, March 25, 2018 at 8:00 PM at Petit Campus (57 Prince Arthur Street East, Montreal) with opening act Julien Vachon. Tickets are $22.40, now available through LePointdeVente.com. Huis is a prog rock group from Montreal formed in 2010 by Michel Joncas (bass, keyboards) and Pascal Lapierre (keyboards) as they were writing what would become their first album, Despite Guardian Angels. During the creative process, they enlisted the services of William Regnier (drums and percussion), Sylvain Descôteaux (vocals and keyboards) and Michel St-Père (guitars), the renowned leader of the band Mystery. Their first effort was acclaimed both by critics and fans worldwide. After the release of the first album, Pascal Lapierre had to leave the group for family reasons and would ultimately be replaced by Johnny Maz in the fall of 2015. On May 1st 2016, the group launched its second album, Neither in Heaven. This is a concept album featuring over 60 minutes of music that explored new musical horizons while maintaining the classical sound of the group. For this album, the group called upon some famous guest musicians including Gerben Klazinga, keyboardist of the Dutch group Knight Area. Huis delivered its first European performance at Progdreams festival in Zoetermeer on March 4 2017 in the company of Frost*, Karnataka and Barock Project. Following that tour, the band started recording its 3rd album, to be released during 2018. Opening act Julien Vachon (formerly of HERE & Wireless Blue) is a singer-songwriter from Montreal. Having a strong appreciation for progressive rock, he writes music reminiscent of artists such as Porcupine Tree, Opeth, Riverside, while avoiding the infectious cynicism of these influences. Visit https://julienvachon.bandcamp.com/ for excerpts! Huis will also be playing at LaScène Lebourgneuf (815 Lebourgneuf, Quebec City) on Friday, March 30, 2018, with opening act Julien Vachon. Doors at 7:00 PM, show begins at 8:00 PM. Tickets are $21.14, available through LePointdeVente.com (tickets for the defunct club Le Cercle will be honored). Finnish metal legend Nightwish will be at the MTelus Metropolis (59 Ste-Catherine East, Montreal) this Tuesday, March 20, 2018, as part of their Decades North America 2018 tour. Doors at 6:30 PM, show at 8:00 PM. Tickets are $88.50 to $94, available through evenko. VIP packages available. To accompany the tour, Nuclear Blast Records will release a 2CD compilation "Decades" on the 9th of March 2018. On the night of the show, every ticket purchaser will receive a copy of the 2CD as a memento of this unique tour! Genesis Tribute band Afterglow will be at Bar Chez Maurice (1897 rue Ste-Angélique, St-Lazare) on Saturday, February 17, 2018 at 9 pm (doors at 8 pm, admission $25), at Club Dix30 in Brossard on Thursday, March 8, 2018 at 8 pm (admission $20.75), and at the Théâtre des Tournesols (331 Brosseau Road, Route 139, Cowansville) on Saturday, March 10, 2018 at 8 pm (tickets $25 to $31). Afterglow is first and foremost music, intense and captivating, and the rich history of Genesis, delivered on stage with emotion and enthusiasm by 5 dedicated musicians that are intensely passionate and talented. Afterglow members also have significant experience in the matter, all having previously been part of other tribute bands to the famous British group. For a nostalgia trip and to experience again some of their classics or simply to rediscover some almost-forgotten gems, we invite you to sit and relax to some of the greatest work of this legendary group. Do not miss this unique event; Morse Code - Legacy, on Friday, March 16, 2018 at l'École secondaire Dorval-Jean. The legendary Quebec prog rock band lives again! Michel Vallée, one of the founders of Morse Code, will pay tribute to his old friend and co-founder of Morse Code, Christian Simard, who died last year, with a concert high in emotion. The new band is composed of Michel Vallée on bass and vocals, Daniel Lemay on guitar, flute and vocals, Gilles Simard on drums, Gilles Beaudoin on keyboards and vocals and Jean Ravel (Rock Story) on vocals. The group will perform the great anthems of Morse Code including La Marche des Hommes, Procréation, Je suis le temps and D’un Autre Monde. JLC Musik, the company behind La Metropole du Prog and most prog rock events in Quebec, will present its own production Prog Story once again at Club Soda (1225 St-Laurent, Montréal) on Friday, March 16, 2018. Prog Story is an original concept recounting the best moments of British rock-progressive of the Seventies in music and images. Genesis, Yes, King Crimson, ELP, Jethro Tull, Pink Floyd and Gentle Giant. Prog Story is composed of a talented team of eight musicians and singers selected from the Quebec elite. Antoine Baril (drums), Christian Pacaud (bass), Gabriel Cyr (guitar), Jean-Philippe Major (vocals), Gabriel-Antoine Vallée (vocals and guitar), Alex Donati (vocals and guitar) and Mathieu Pilote (vocals, flute, saxophone). The production also relies on the services of the talented musician and multidisciplinary artist, Daniel L. Moisan, as artistic director. Prog Story will be a unique event where you will relive the history of rock-progressive while offering you top-notch musical performances accopmpanied by stunning images and exclusive interviews. Show at 8:00 PM, doors at 7:00 PM. Tickets are $47, available through LePointdeVente.com. An evening with Sabaton and Kreator! Swedish heavy metal band Sabaton will be in Montreal, accompanied by german metal band Kreator, on Friday, March 2, 2018 at the M Telus Metropolis (59, Ste-Catherine Street East, Montreal). Doors at 6:00 PM, show at 7:30 PM, tickets are $41.50 to $45, available through evenko and at the M Telus Metropolis boxoffice. Steve Hackett will be at the Théâtre Maisonneuve of the Place des Arts in Montreal this Sunday, February 11, 2018. His solo set will celebrate 40 years of Please Don't Touch and will also include special GTR number When The Heart Rules The Mind, with other old favourites and songs from his ground-breaking new album The Night Siren. Tickets are $59.75 to $ 92.25, on sale through the PDA boxoffice. English rock legends Uriah Heep will be at the Corona Theatre (2490 Notre Dame West, Montreal) on Saturday, February 10, 2018. Doors at 7:00 PM, show at 8:00 PM Tickets are $37.50 to $89.00, available through evenko or at the Corona Theatre boxoffice. The Musical Box "Black Show"
at Place des Arts - Contest winner! evenko presents The Musical Box, performing their "Black Show" on Thursday, January 4, 2018 at Salle Wilfrid-Pelletier of the Place des Arts. Congratulations to Jean Boissoneault, of Laval, who wins the pair of tickets to the PDA show! Thanks to evenko for this great prize and many thanks to all who have participated! The Musical Box, internationally acclaimed for its historical re-enactement of early Genesis' works, is coming to Montreal to perform The Black Show, the emblematic 1974 performance that made Genesis and Peter Gabriel attain rock star status, enjoying to this day a cult following from nostalgic and young music lovers alike. On the trail of their first visit, Genesis is back in America in '74 to promote Selling England by the Pound, but this first time, presenting the show in a whole new format, abandoning the old sets for a darker and more essential visual presentation, better suited to serve Gabriel's antics. Genesis pushes back the limits of its musicianship, venturing into a more live rendering of the songs and musical arrangements. The band's artistry will produce some of the most iconic images and sounds of the progressive rock era, such as the mythic 23 minutes long Supper's Ready. This performance captured on the famous bootleg Super 8 film from the Montreal Cepcum in April '74, has become the reference to vintage Genesis. Exclusively licensed by Peter Gabriel and Genesis, The Musical Box has performed for more than a million spectators worldwide in some of the most prestigious venues such as the London Royal Albert Hall, and the privilege of receiving Phil Collins and Steve Hackett from Genesis as performing guests. With its quest for authenticity, The Musical Box is often cited as the best interpretation group in the world, proving the relevance of performing comtemporary classics. Tickets are $49.00 to $82.25 (including taxes and service fees) available through evenko and at the Place des Arts Box Office. Limit of 8 tickets per person. Heaven's Cry at Petit Campus! Black Label Society in Montreal! American heavy metal band Black Label Society will be in Montreal on Monday, January 8, 2018 at the Metropolis MTelus (59 Ste-Catherine East), accompanied by Corrosion of Conformity and EyeHateGod. Doors at 6:00 PM, show at 7:30 PM. Tickets available starting on Oct 13, 2017 at 10:00 AM, and are $48, through evenko and at the Metropolis boxoffice.